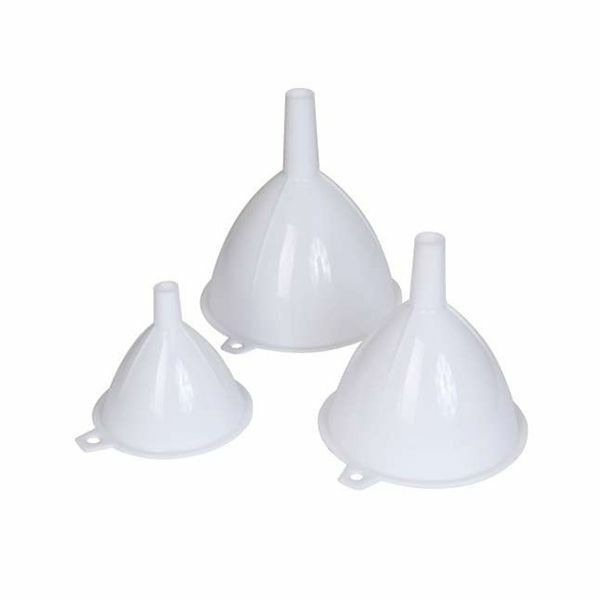 The Dexam Plastic Funnels include 3 handy sized funnels. They are perfect for filling narrow bottles, pepper mills, with liquid or dry ingredients. The diameters of the funnels are 10.5 cm, 8cm & 6.5cm. Made from hygienic and durable plastic and are dishwasher safe.